Is anyone modelling the Victorian era in O scale? If so, would this group of rather smart travellers be of interest? 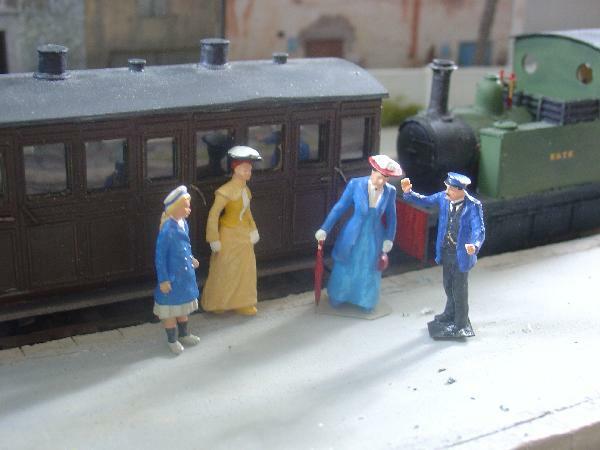 There are two women and a young girl dressed in a blue coat and a sailor cap, plus a railway employee. I'm hoping for £3.75 plus postage at cost for the group, but am prepared to sell only the female figures for £3.00 if you prefer, as I think the railwayman is a German figure. All the figures are, I think by Preiser and are nicely modelled. Wrong Era for me I'm afraid. I did think of that, Jordan, but with all the % coming off for selling and getting the payment processed I thought I'd end up with the same amount as I might get here. With the addition of the new postage rates they'll probably come out at the "right" price anyway. Yes, point taken Giles. Ebay now take a cut of the Postage cost as well !!! !